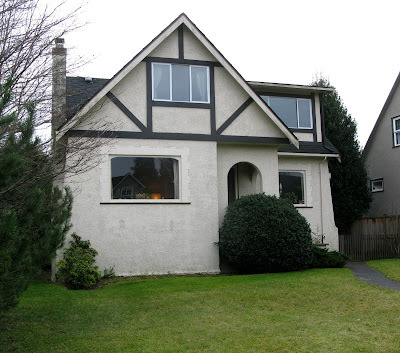 Vancouver Vanishes featured this house in March 2013, including some photos of the interior. The real estate listing described it as a "classic English mansion". 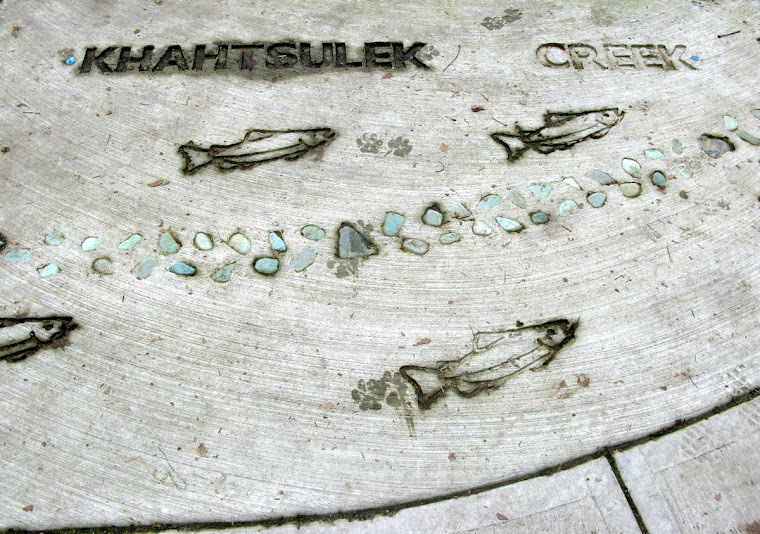 The large lot is on the corner of Blenheim Street and West 33rd Avenue. 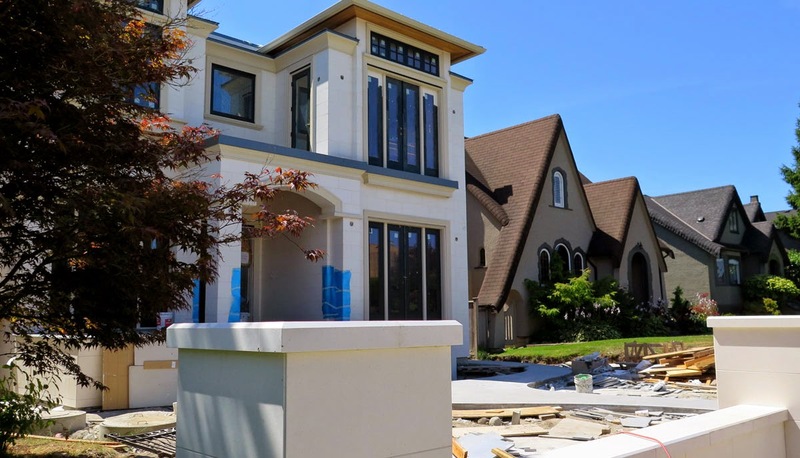 Built in the mid 20's, it was torn down in late February or early March 2014 and is being replaced by two houses, which will likely not merit a second glance. One of the houses has a lane house. The style of the original house was unusual for the Dunbar area and much admired. 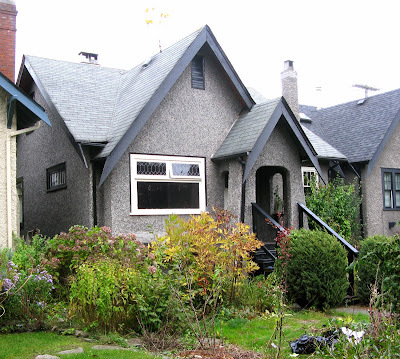 Vancouver Vanishes also featured this more typical Dunbar dwelling at 3635 West 21st Avenue. It was built in 1928 on a 33 foot lot. When this photo was taken on October 20, 2013, preparations were being made for demolition. 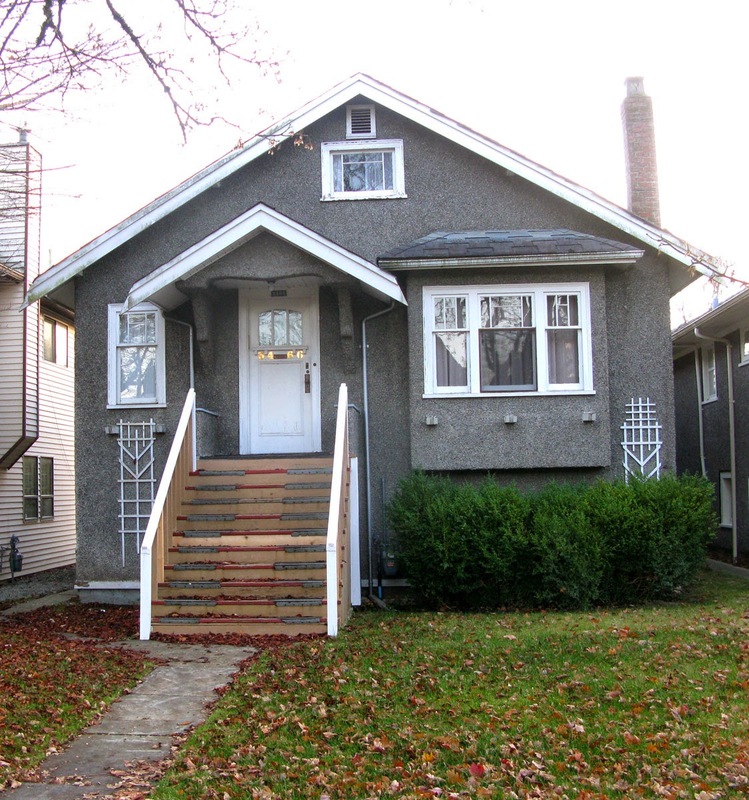 Also built in 1928, this house across from the Lord Kitchener Elementary School at 3466 West 26th Avenue was sold in November 2013 and torn down in February 2014. 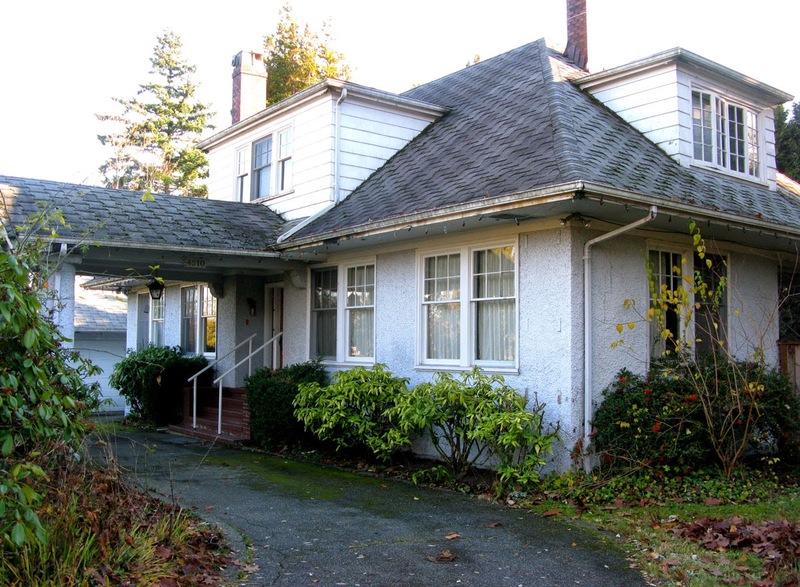 Vancouver Vanishes featured this on August 14, 2013, but I do not know when this pseudo-Tudor at 3356 West 32nd Avenue was actually demolished. It was built in 1938 on a 50x130 foot lot. This block of West 32nd between Blenheim and Collingwood has had only two demolitions that I am aware of (lovely homes and gardens at 3452 and 3333). 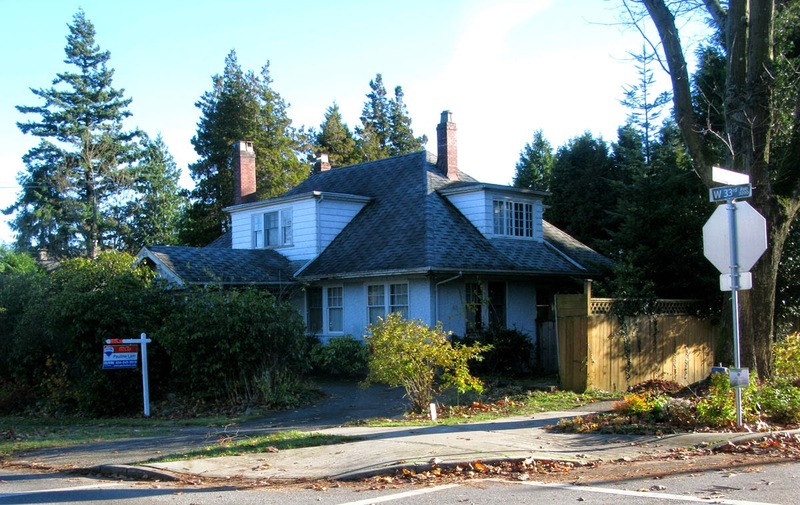 It is characterized by gracious original homes, larger than is typical for the Dunbar area. They are well kept, with pretty gardens. This one had a few unfortunate changes, especially the windows, so it was not as good looking as the others on the block but probably had the same solid "bones". Here is a photo of the new house under construction during July 2014. Notice the two houses in the background, with their "English country garden" style. The new house with its wall next to the sidewalk will be quite unlike any other house on the street, and I wonder how the design got approved to be on this particular block of otherwise consistent traditional design.